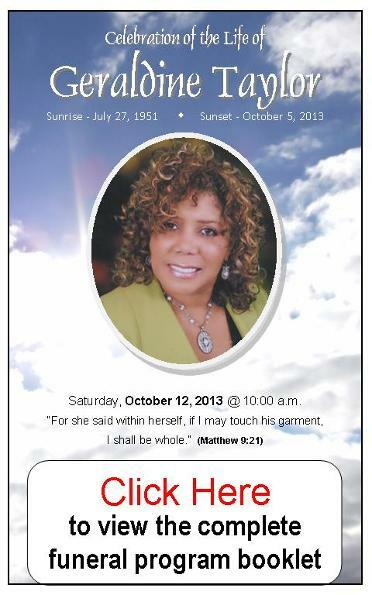 to view the funeral services of Geraldine Taylor, which was held on Saturday, October 12, 2013 at Brown Missionary Baptist Church. Click on the video below to watch video clips and photos reflecting memories of Geraldine Taylor. To have a special memory page for your love one to be remembered forever.